Yet this situation offers a potential diplomatic advantage. The reason is that China, wary of the chance of a hot conflict in the region, may consider using more of its clout vis-à-vis Tehran. China is the last remaining major power with significant interests in Iran’s oil sector, as well as a key supplier of gasoline to that country. Moreover, China, like the United States, is concerned about rising oil prices at home and thus has much to lose from any spike in gas costs that would result from a conflagration in the Middle East. Thus, China may do more on the diplomatic front simply to avoid its worst-case scenario: an Israeli attack. This possibility depends on how likely the Chinese leadership views an Israeli strike in the absence of tougher international diplomacy. It’s difficult to know what China’s top leaders believe at the moment, but attitudes among key Chinese strategists appear to be mixed. On one hand, strategists are aware of the difficulties of a successful Israeli strike, including the problem of hardened, diffuse targets, as well as the likelihood of Iranian retaliation. There’s also a conviction among many strategists that Washington will be able and willing to restrain its ally. Nevertheless, some analysts aren’t so sure. Tang Zhichao, a scholar at the influential Chinese Institute for Contemporary International Relations, writes that, “Israel, facing a grace threat and leery about the chances of negotiations as well as sanctions, could be tempted to use unilateral force to resolve the issue.” Hua Liming, a retired Chinese envoy to Tehran, argues that Israel’s “military strike preparations,” including talks with Riyadh about the use of Saudi airspace, seem to be “realistic.” Another scholar who I talked with in Beijing last month said that Israel was “very, very serious,” even if the U.S. might be able to prevent the former from acting. Some doubts about Israel’s intentions will of course remain. The point, though, is that a heightened risk, in and of itself, may be sufficient to persuade China’s leaders to think twice. President Hu Jintao, and his top foreign affairs deputy, Dai Bingguo, don’t have to be convinced that Israel will attack; rather, they only have to have serious doubts that it will back down. Given the stakes, avoiding even a modest risk of instability may be worth the costs Beijing would have to pay to do so. Indeed, there’s evidence that Israeli interventions, in concert with diplomatic efforts by the United States and others, were effective in convincing Beijing to support the most recent round of U.N. Security Council sanctions on Iran, in June 2010. For months, China resisted international efforts to push through a new resolution, but yielded after a series of Israeli officials, including then-chief of military intelligence Amos Yadlin, provided details on Israel’s war plans and perceptions of the situation. Thus, if Netanyahu makes the case that guarantees from the U.S. are insufficient, and that as a result, Israel has found itself even closer to an actual decision to strike, Beijing will likely pay attention. 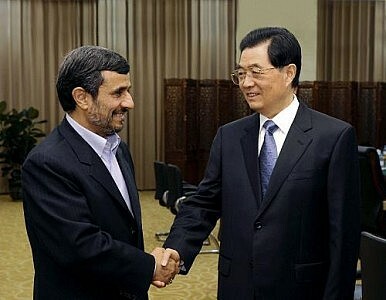 Of course, it’s uncertain that any steps China takes to convince Iran to cooperate with the International Atomic Energy Agency, and with the international community at large, will be sufficient to dissuade Tel Aviv from taking action. But it’s a safe bet that if Beijing does nothing, the chances of a strike – and all the strife that would entail – may well be much worse. Joel Wuthnow is a fellow at the China and the World Program at the Woodrow Wilson School at Princeton University. He is completing a book manuscript on China's diplomacy in the U.N. Security Council.